(20 months) Emily likes to act out the things that Mommy does. 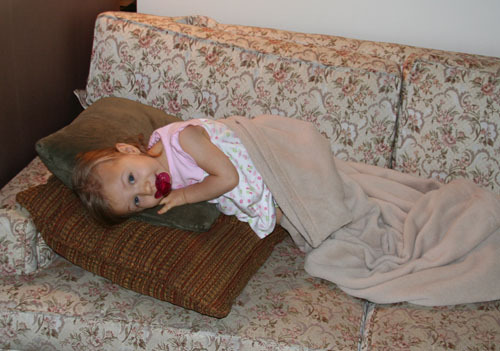 In this case she is laying on the couch like Mommy does with her pillows and blanket. In this case, she is also watching TV. We play “nap” and then “wake-up”.